The Future of Human Experience explores the future predictions of cutting-edge scientists, spiritual teachers, and other visionaries and reveals how our consciousness affects evolution and Earth’s future. Shares insights from the author’s discussions with Larry Dossey, Dr. Mehmet Oz, Graham Hancock, Raymond Moody, Rupert Sheldrake, Zecharia Sitchin, Gay Bradshaw, Candace Pert, and many others. For almost three decades Zohara Hieronimus has interviewed spiritual teachers, cutting-edge scientists, ancient wisdom keepers, laboratory-tested psychics, and other visionaries on their predictions for the near and far future. While the methods they use are significantly diverse, the similarities in their forecasts are striking. And, as Hieronimus reveals, one common theme resonates through them all: the power of human consciousness. Zohara talks with Sister Jenna about elevating consciousness, our current Death Economy, how not to burn out as an activist, and the concealed good in difficulties and tragedies. – All of us are designed to be prophets, but what’s a prophet? – What unhooked our civilization from our awareness? will human souls be entrapped in mechanistic technologies like nanotechnologies or will humanity re-learn their ability to heal themselves through prayer/mediation? 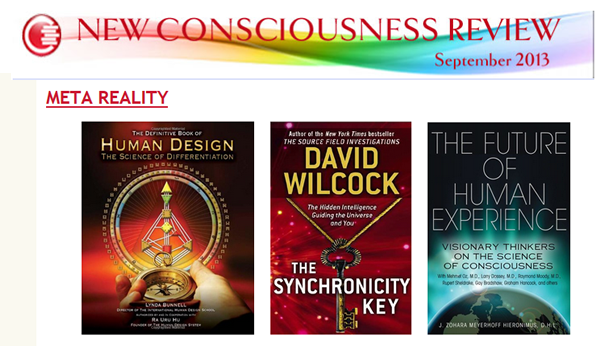 The New Consciousness Review Newsletter covers the latest and most empowering books, videos and interviews in the progressive, spiritual, New Age, Cultural Creative, self help and metaphysical genres. See the entire NCR newsletter here. Petersen’s Arlington Institute helps military and other government institutions and corporations do just that. His book Out of the Blue: Wild Cards and Other Big Future Surprises presents a dizzying array of 84 possibilities of things that could happen in our near and distant future. In creating a database to examine what our future could be like, Petersen ranked the impact any one change in society or our environment might have. He rates the length of time its impact will last and to what degree it is capable of altering the life of the individual, a certain societal sector or society overall. 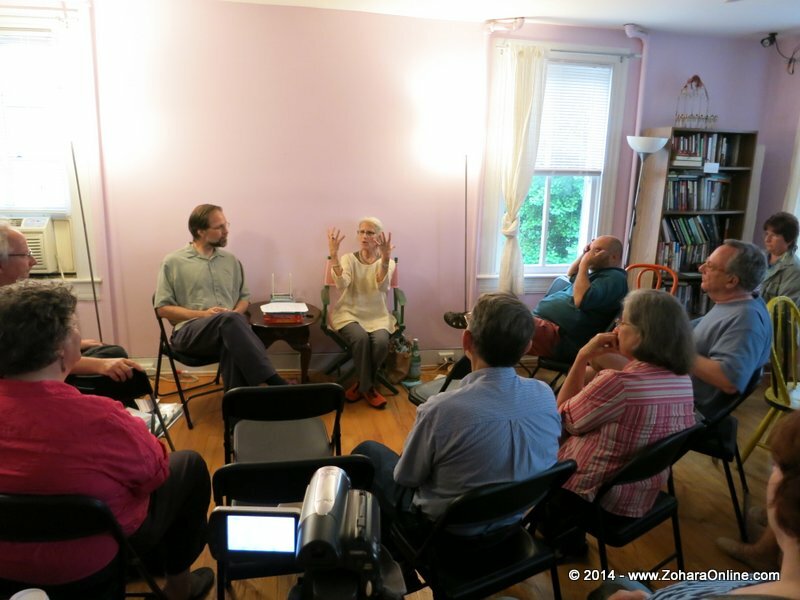 An adventure in ideas and solutions for planet Earth’s great challenges, Zoh Hieronimus discussed how we each shape the future today, and why prayer, right intention, and collective will can transform even the forces of nature. 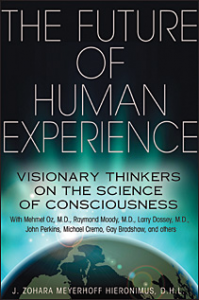 Her new book The Future of Human Experience: Visionary Thinkers on the Science of Consciousness (2013) explores the body of the world, the mind of the world, and the soul of the world. Self-management, Zoh shares, is as important as international agreements. We are enfolded in the world, and also, the world unfolds from us. 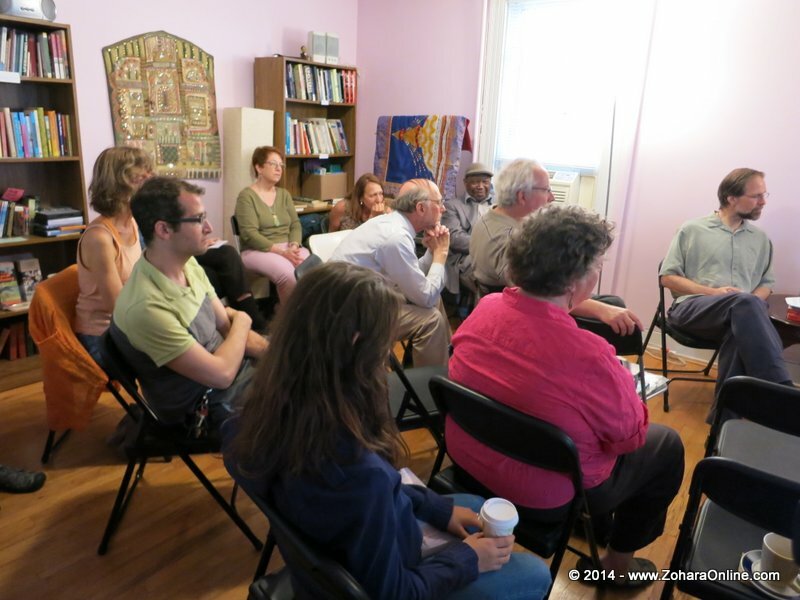 Baltimore Friends of IONS: The Future Of Human Experience: Visionary Thinkers on the Science of Consciousness sponsored the event. Baltimore Friends of IONS: The Future Of Human Experience: Visionary Thinkers on the Science of Consciousness event facilitator and Zoh getting ready to start. 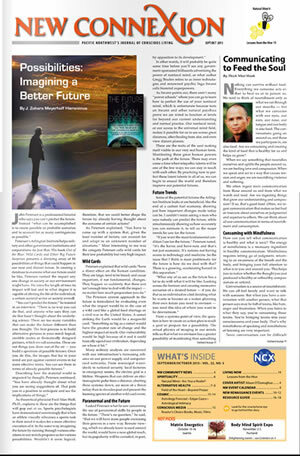 Zoh’s new book The Future of Human Experience: Visionary Thinkers on the Science of Consciousness explores the body of the world, the mind of the world, and the soul of the world. A capacity crowd filled up Breathe Books. Ever the lively presenter, Zoh takes questions from the audience. 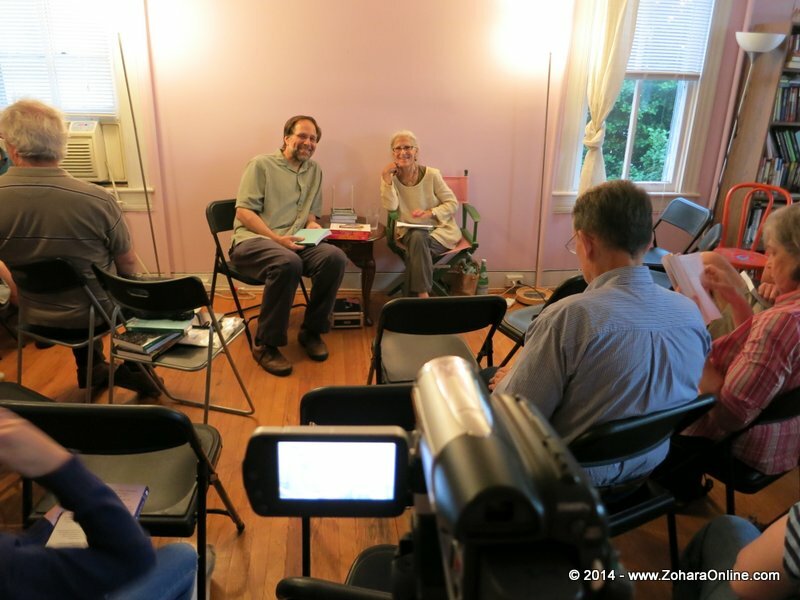 An adventure in ideas and solutions for planet Earth’s great challenges, Zoh Hieronimus discussed how we each shape the future today, and why prayer, right intention, and collective will can transform even the forces of nature. Self-management, Zoh shares, is as important as international agreements. We are enfolded in the world, and also, the world unfolds from us. 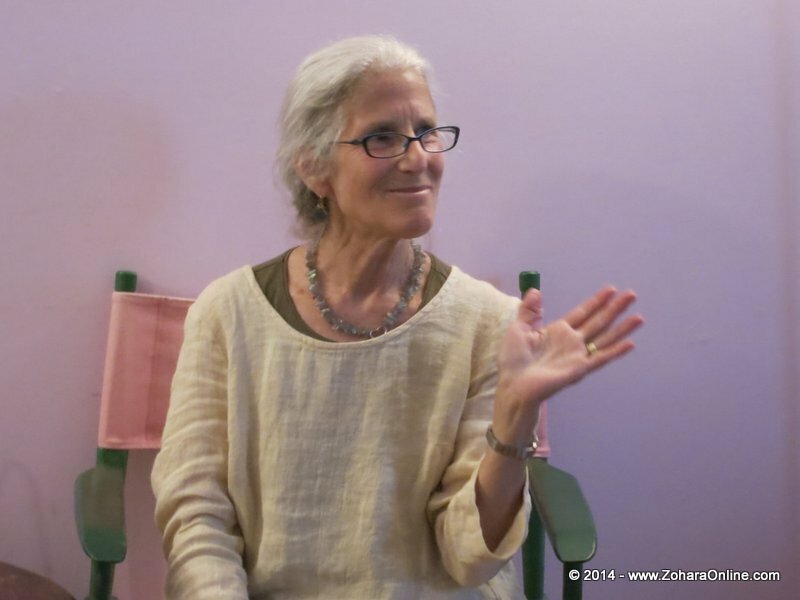 For almost three decades Zohara Hieronimus has interviewed spiritual teachers, cutting-edge scientists, ancient wisdom keepers, laboratory-tested psychics, and other visionaries on their predictions for the near and far future. While the methods they use are significantly diverse, the similarities in their forecasts are striking. And, as Hieronimus reveals, one common theme resonates through them all: the power of human consciousness. Sharing insights from her discussions with Dr. Mehmet Oz, Raymond Moody, Larry Dossey, John Perkins, Michael Cremo, Gay Bradshaw, Ray Kurzweil, and many others, Hieronimus explores what these visionary thinkers foresee for humanity based on current trends in medicine, science, agriculture, Earth history, robotics, and spirituality. Agriculture has played a central role through humanity’s long odyssey on Earth. How we use or abuse the Earth’s natural systems determines, in part, whether we will flourish or not. Supporting life requires the growing of food crops worldwide, meaning that agricultural restoration can become the foundation for improving our global community’s ecosystems and human health. Human, Soul & Machine: The Singularity Conference – Zoh presenting from and signing copies of her new book, The Future of Human Experience. 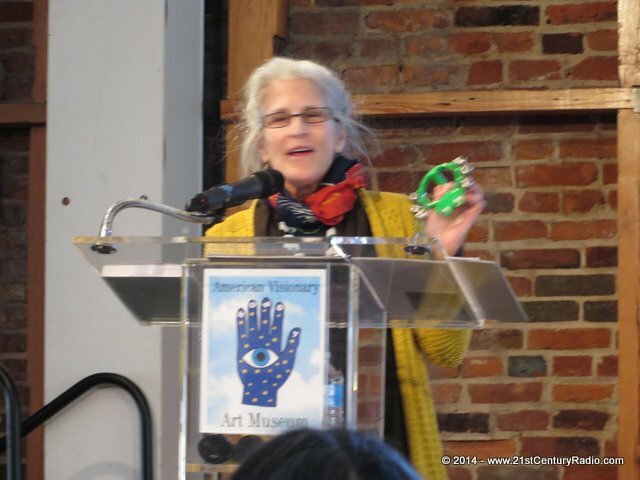 Dr. Zoh Hieronimus signed books and served as the lead-off speaker for a special one-day conference at the American Visionary Art Museum in Baltimore, MD on March 9th at 1 PM. In conjunction with their current exhibition, Human, Soul & Machine: The Coming Singularity!, exploring the realization of body and soul within art, and the role technology may play in our fast-approaching future. 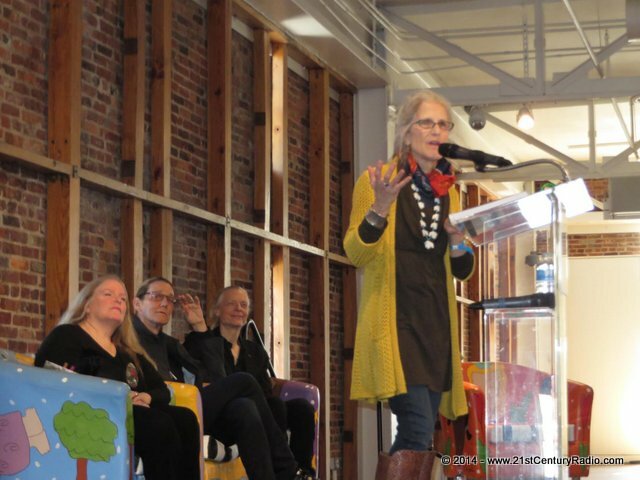 A full house of over 400 came to hear Dr. Zohara Hieronimus, Alex Gray, and Martine Rothblatt talk about the future at the American Visionary Art Museum in Baltimore. 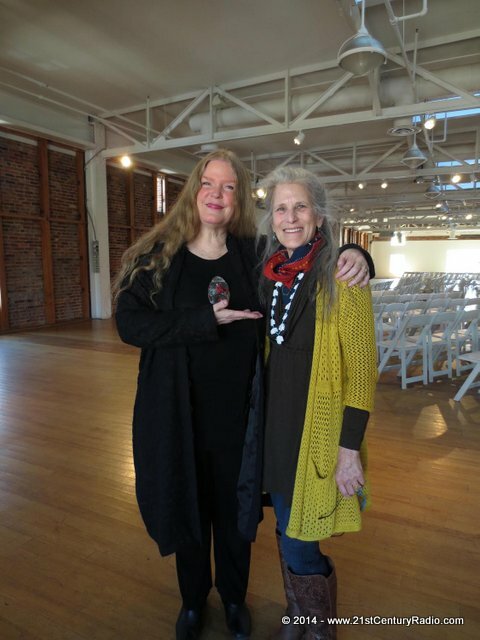 Rebecca Hoffberger and Dr. Zohara Hieronimus at the Singularity Conference at AVAM. Zohara Hieronimus D.H.L. 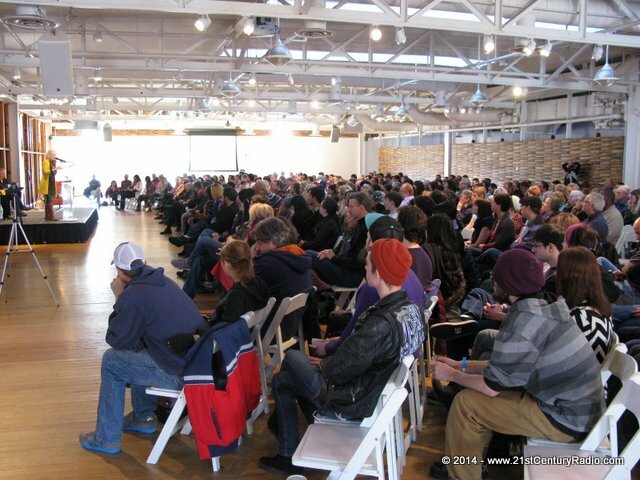 speaking in the Visionary Center. Also onstage are AVAM Founder Rebecca Hoffberger, visionary artist Alex Grey, and transhumanist and author Martine Rothblatt. 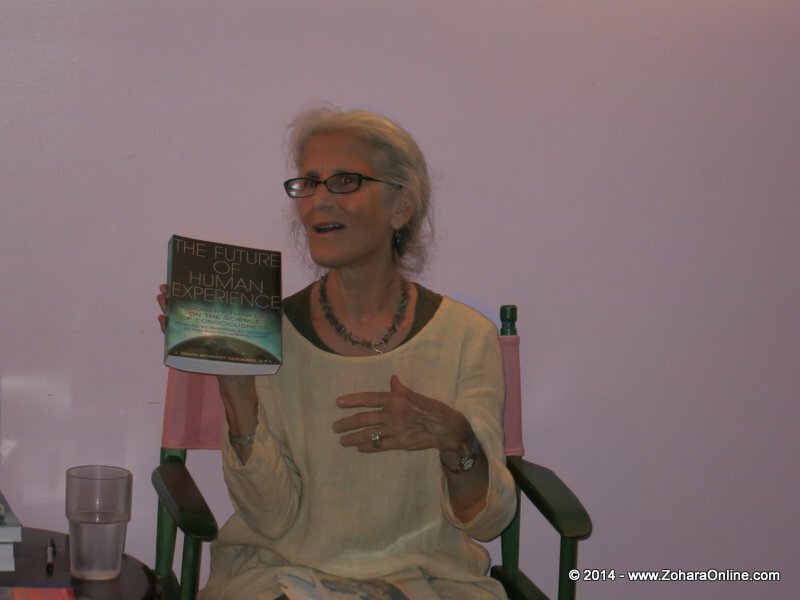 Zohara speaking about her latest book, The Future of Human Experience. 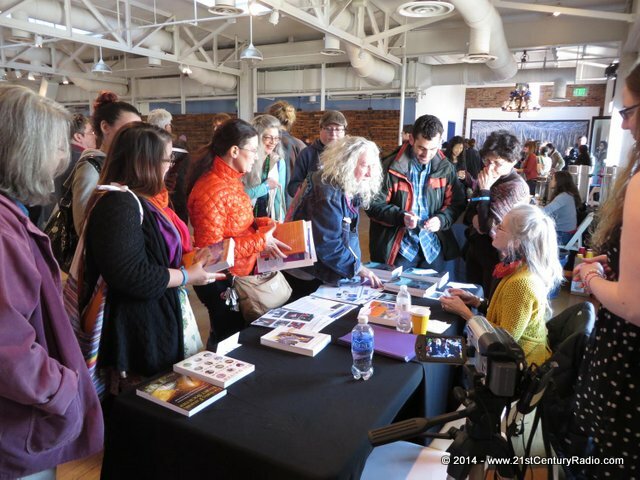 Zoh and Singularity conference attendees discuss her books. Visionary artist Alex Grey and Zohara Hieronimus. In addition to Zoh, who presented from her new book, The Future of Human Experience, the speakers included visionary artist and creator of the Chapel of Sacred Mirrors Alex Grey, and transhumanist and author Martine Rothblatt. An exclusive tour of the current mega-exhibition, lead by ‘Singularity’ artist Alex Grey and show curator Rebecca Hoffberger followed the conference. A day of fascinating discussions that took a communal look forward at Sci-Fi imaginings of the past that are swiftly becoming commonplace reality—the coming singularity! of Jim and Patty Rouse Charitable Foundation. 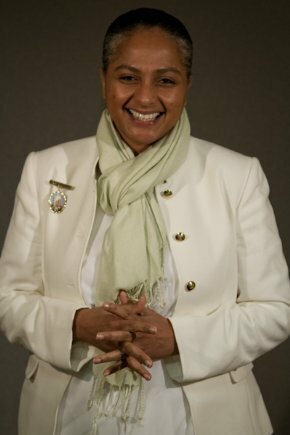 Named one of the Top 13 Most Influential Women in Goddess Spirituality, Wednesday at 9PM hear Dr. Rev. 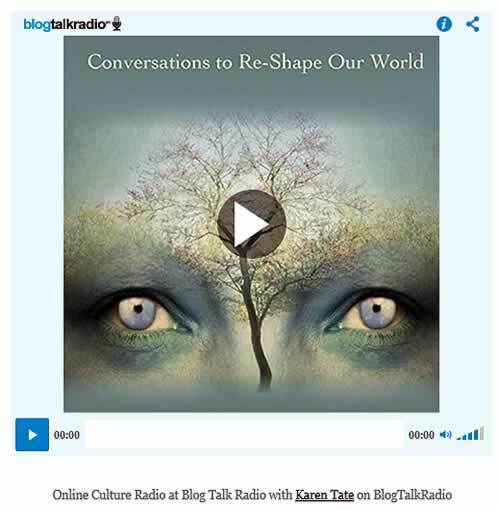 Karen Tate, author, speaker, and teacher with guest Zohara Hieronimus, author, radio broadcaster, social justice and environmental activist discussing Lady Liberty, Senate Sisterhood, Good Earth Society, pushing back against the Right Wing, death economy vs life economy and how best to counter feelings of overwhelm to help “save the world”. Zohara Hieronimus is the author of The Future of Human Experience. For far too long we have predicted our future based on our past experiences, but now we are fast approaching a challenging future, one that will require a new level of awareness that will prepare us for a reality that has little to do with our historic ways of problem solving. This interview addresses our complex world by simply looking at it from many different perspectives. Zohara’s research is the culmination of decades of research and heartfelt inquiry by not only the author but many other spiritual teachers, scientists, and visionaries. We cover everything from the ancient past and the ways that religion have taken us off course to Fukushima, UFO’s and the new Pope. Hosted by Gary Goldberg on WRPI, the campus radio station at Rensselaer Polytechnic Institute in Troy NY, with 10,000 watts. 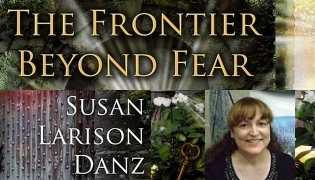 Zohara and Gary discuss topics from her book Future Human like the universal field of consciousness and how we are all shaping the future together. 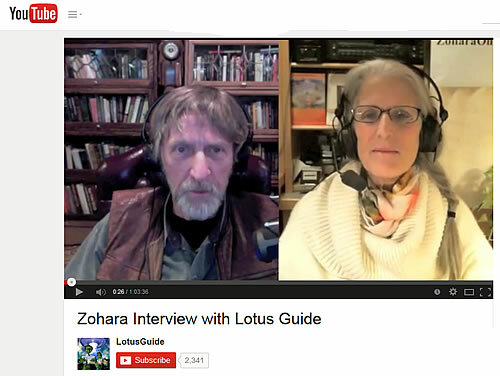 Zohara joined host Dr. Rita Louise, PhD, ND who is the founder of the Institute of Applied Energetics. 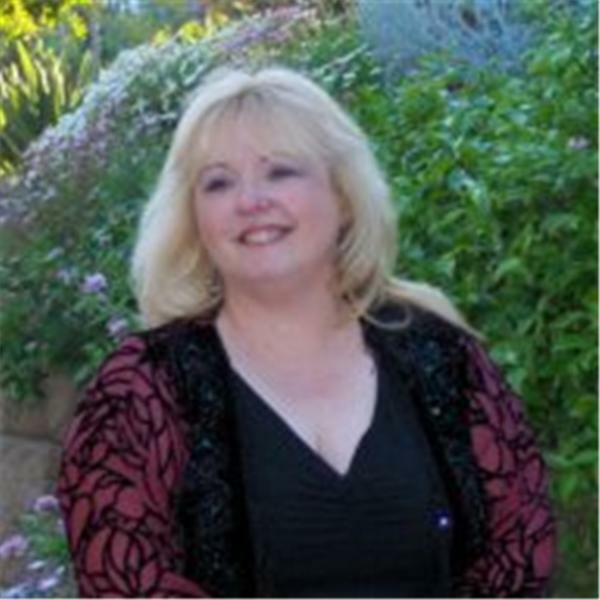 Environmental activist and pioneer, Zohara Hieronimus joins Dr. Rita Louise on Just Energy Radio where she discusses the state of the world today and what futurists see as where we are heading in the future. She also delves into what we can do to bring about the future we want to experience. 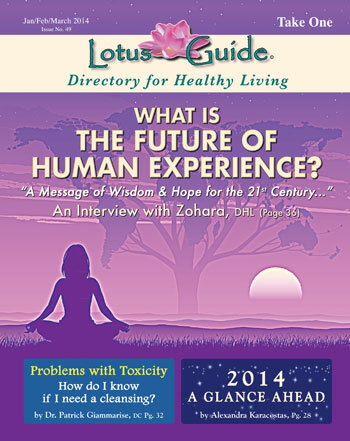 Zohara will be on internet radio to talk about her new book, The Future of Human Experience. 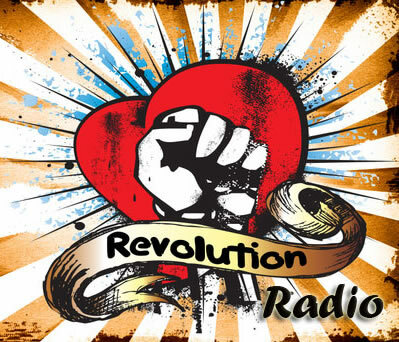 Revolutions Radio hosted by Robert Pepino featured guest Zohara Hieronimus, talking with him about The Future of Human Experience. 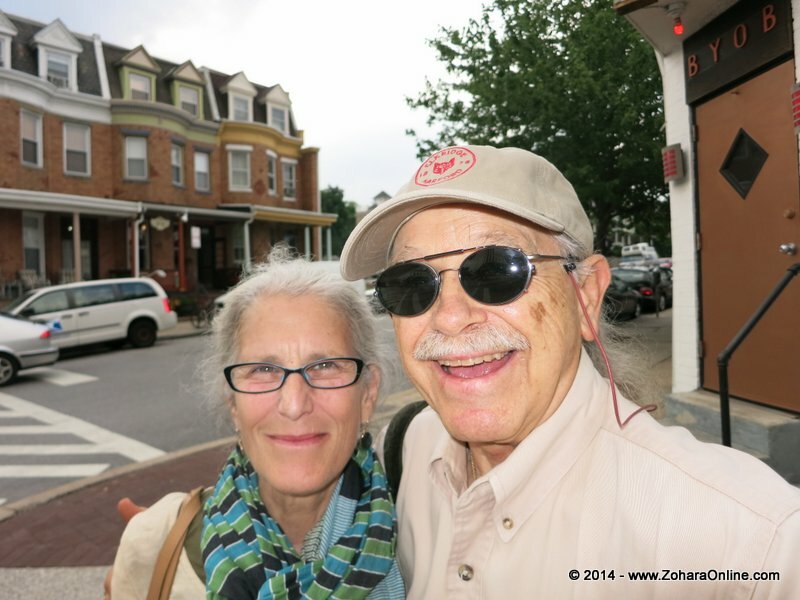 Internet Radio Host Rabbi Wayne Dosick interviewed Zohara on August 28, 2013, from 2-3 PM Eastern. 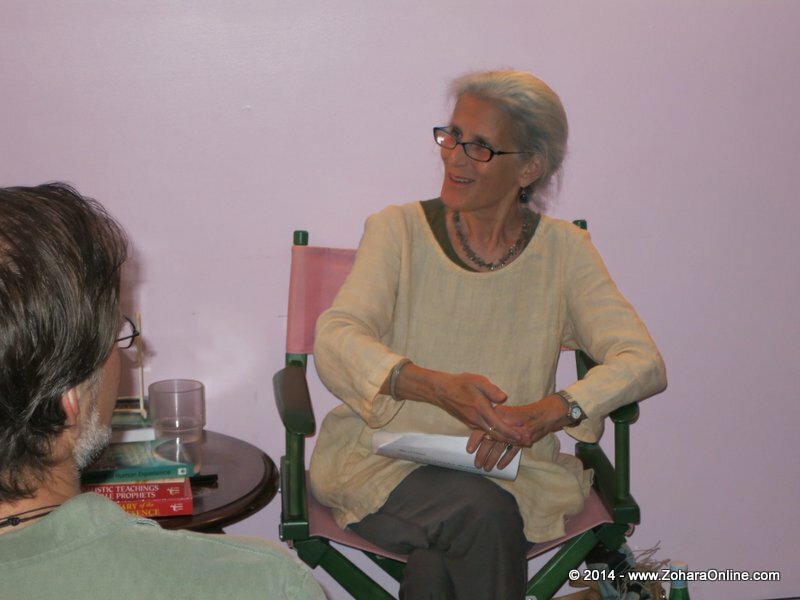 Zohara discussed her new book, and presents her case for a new “Life-centered” Economy based on the thirty years of research and interviews with great thinkers and visionaries behind this book. Listen online! 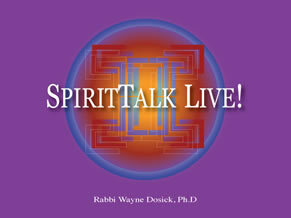 Visit www.SpiritTalkLive.com for more about this program.